Statistics from www.ok.gov show that in 2016 there were several cases of West Nile Virus reported in Oklahoma across many counties including Tulsa. A serious mosquito-borne disease, it’s not the only one transmitted by mosquitoes. Thankfully, there have still not been any confirmed cases of local Zika virus in our state but the risk is there. In addition to the health threat these biting pests pose, mosquitoes are annoying and often drive people indoors and away from their outdoor living spaces when they should be taking advantage of the warm weather. If you’ve had enough of mosquitoes and their bites and are ready to take back your yard, contact Montgomery Exterminating! 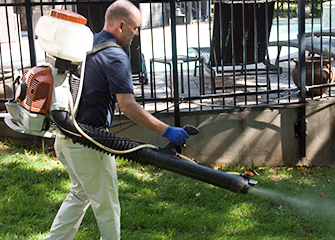 While our team of mosquito control professionals cannot completely eliminate mosquitoes on your property, we can significantly reduce their numbers so you can enjoy activities outside. Our seasonal mosquito treatments start as early as May and continue monthly through September, in other words while mosquito activity is at its peak. We’ll start with a thorough inspection of the property to identify areas where mosquitoes breed and where they rest. We’ll kill adult mosquito by treating shrubs, bushes, and other landscaping as well as fence lines, decking and other resting spots. We’ll also address breeding sites. Enjoy your deck, patio and other outdoor living space knowing that we’ll be back every month during mosquito season to keep these biting pests away! Bundle Your Mosquito Control And Save! Did you know Montgomery Exterminating offers homeowners pest control programs that include seasonal mosquito treatments and year-round protection from common household pests? 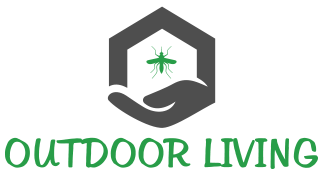 With Montgomery Exterminating's Outdoor Living Program, you can say goodbye to mosquitoes, ticks, outdoor spiders, and other outdoor pests! Enjoy all the benefits of Bronze program with the added benefit of coverage for your outdoor living space during the warmest months of the year, May through September. Designed to eliminate mosquitoes and other pests that tend to drive you indoors, this pest control solution targets mosquitoes, ticks, fleas, and spiders. Whether you’re planning a backyard wedding, company picnic, or other outdoor event, Montgomery Exterminating is ready to help prevent mosquitoes from carrying your family, friends, or employees away! We’ll come out 24 -48 hours prior to the big day to apply a one-time mosquito treatment to the site. Our application dries quickly and does not leave behind odor or visible residue. Your venue will look great and best of all, and the treatment will stop mosquitoes and their annoying buzzing from ruining your big day!